The enclosure on your recreational trampoline has many components that need to be maintained and changed if need be. It is made of a textile net, net posts of 25 mm in diameter, foam shock absorbers and a PVC cover. In order for your trampoline to remain reliable, we offer a whole range of spare parts. The foam shock absorbers can deteriorate with time, which is why we have this spare part in stock. - This spare part can only replace shock absorbent foam placed around net posts of 25 mm in diameter. They are easy to replace and are 10 mm thick and 2 m long. You can easily cut the foam tube to size, so that it will fit your enclosure perfectly. - The shock absorbent foam will help your users feel safe, as they will not injure themselves by falling on the net posts. They will be able to enjoy the trampoline serenely. 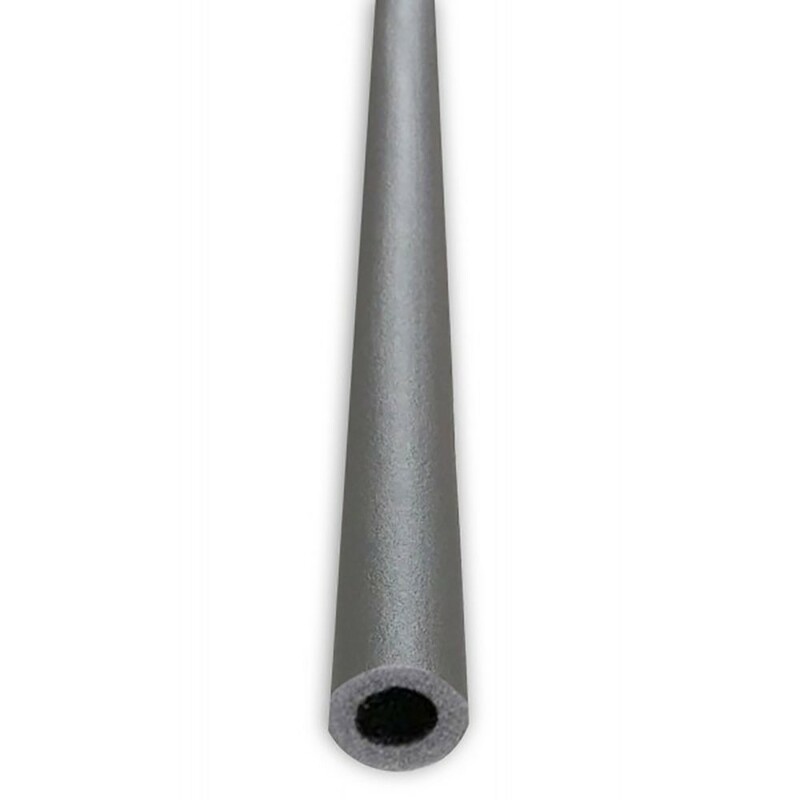 - If your net posts have a different diameter, we also stock foam for net posts measuring 38 mm in diameter. Satisfaite, plus épais que les précédents.A voir dans le temps . Il a fallu les couper un peu, mais ont pu être adaptés très facilement. dommage que les tubes soient gris. Produit très pratique avec la possibilité de retailler à la hauteur désirée.